When you’re about to buy a vehicle, finding the right car for you isn’t all you have to think about. You also have to consider which car dealership to give your business to. There are many factors to consider, including location, price point, and customer service. Here at Auto Action AZ car dealership, we strive to earn your business in any way possible and will take the stress out of the car buying experience. We will work with you to ensure all of your needs are met and will guarantee that our sales staff has the answer to any question you may have. No matter what car type or feature you’re looking for, our sales staff knows which vehicle will be best suited for your budget and lifestyle. Their vast knowledge is at your disposal, and it’s in your best interest to use it to your advantage. They are dedicated to finding the exact vehicle you’re looking for. Beyond our superior sales staff, our Service Department is full of certified technicians you can trust with your vehicle. We offer the best care possible and will take the appropriate measures to ensure your vehicle is safely back on the road in no time. Additionally, the experts in our Finance Department work hard to find you the quality car loan you deserve. Our financial advisers specialize in getting you the rate you can afford and can answer any questions you have about obtaining a car loan, further proving our car dealership is your one-stop shop for all your vehicle needs. You can also benefit from the fact that we offer manufacturer incentives in addition to other vehicle specials all the time, helping you to save money anywhere we can. We also work to find ways for you to save when you’re in need of car maintenance, like brake checks, new tires or tire rotation, oil changes, and so much more. 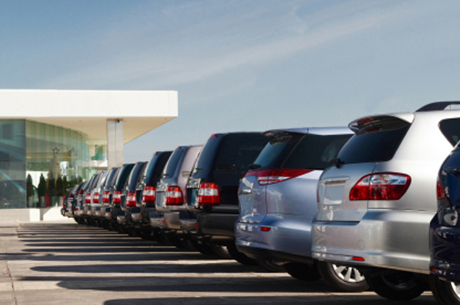 It is clear that Auto Action AZ is your one-stop-shop for all of your car buying needs. Whether you’re looking for the perfect car, an oil change, an auto loan, and everything in between, you can be sure you have come to the right place. We want to see you behind the wheel of your dream car, so visit us today, your trusted car dealership in the Phoenix, AZ, area.